German metal band THUNDER AND LIGHTNING exists in Berlin since 2004 as a live band, delivering harmonious heavy sound, old-school but not self-limited traditional style, with screaming vocals, tons of riffs, delicate solos and pounding drums. They released so far their debut album "Gathering Storm" (2005), LP "Written in Stone" (2006), "Purity" (2008), "Dimension" (2010) and recently "In Charge Of The Scythe" in August 2013. Overarching theme of "In Charge Of The Scythe" gets involved with a story about a young woman named Mary, who's kills the Grim Reaper and takes over his duties as the Angel of Death. By vocalist Norman Dittmar joining the band in 2007, their vocal part got to enrich with his unbelievable voice range, and in 2008 a new line-up with a new drummer Steve Mittag (Ex-Orth) was formed, which made it possible to transfer their music to a new level - now the band is able to present their version of Power / Thrash to the Metal scene. 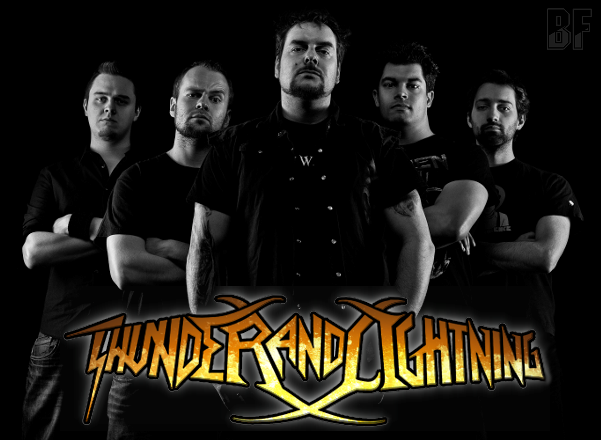 THUNDER AND LIGHTNING has performed at various shows all over Europe, like Rock In Schroth Festival, support shows for THE SWORD, PRO PAIN and club shows in Austria and Poland. They also opened for the heavy metal legend GRAVE DIGGER in late 2011. Band leader Marc Wüstenhagen has worked together with metal acts like WAR FROM A HARLOTS MOUTH and POSTMORTEM in the past. 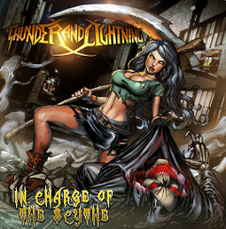 If you are into a band such as Iron Maiden, Judas Priest, Helloween, Edguy and Blind Guardian, you should check out THUNDER AND LIGHTNING.